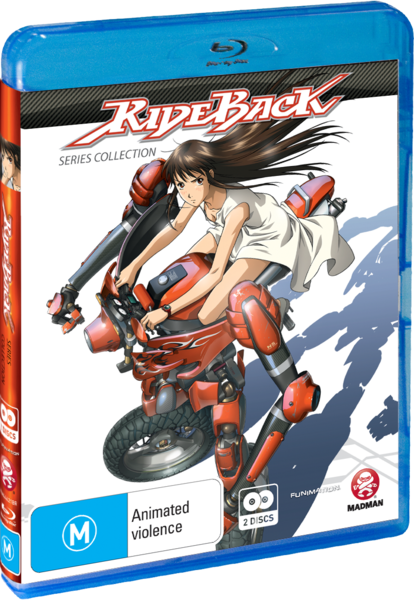 Madman have released the complete collection of Rideback on Blu Ray and DVD, a story based on a manga series of the same name by Tetsuro Kasahara. Rideback is one of those series that seems to creep up on you with very little in terms of pedigree. The manga hasn't been released in English, the creator of the manga is relatively unknown and its the directorial debut of Atsushi Takahashi. So, can we rely solely on pedigree to determine the quality of the entire series? "Atop her robotic RideBack motorcycle, an ex-dancer ignites the fires of rebellion in a nation held captive by its own oppressive government. After an injury forces Rin to trade her stage career for college life, she finds new thrills as a member of the RideBack Club. 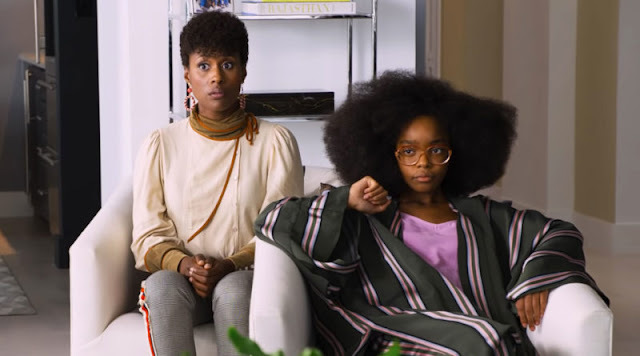 When she discovers an unusual connection with one machine in particular - Fuego - she is forced into the middle of a revolution. The tyrannical new government rules with an iron fist, and Rin is reluctant to take them on. But as her dearest friends suffer and the insurgency struggles to topple the increasingly powerful regime, Rin may have no choice but to gun Fuego's engines and speed directly into the heart of the fight for freedom." The answer, in short, is no. 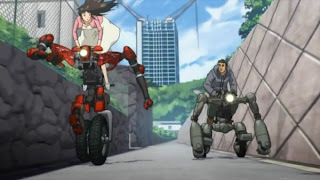 Although all indicators pointed to Rideback being an absolute dud, it is a thoroughly enjoyable series which is aided by the visual spectacle which is supplied by animation studio Madhouse. Generally speaking, if Madhouse is involved you can rest assured that if nothing else, the animation quality will be spectacular. Rideback well and truly proves this point. Although I haven't read the manga, I can only assume that the unique character designs can be attributed to Kasahara-sensei. The characters themselves aren't particularly unique, they wear average clothing and bear no particularly striking features but the facial features are slightly different to anything that I've seen before. At first I felt that this was a little off-putting but after a couple of episodes I had completely forgotten about it and I now respect the fact that they stood by the unique designs. The Rideback's themselves are straight up weirdness. They reminded me of a cross between a modern day sports bike and T-Bob from M.A.S.K. Although weird, these were some pretty cool designs that are animated to a tee by Madhouse. The way that these vehicles move was certainly one of the highlights of the series. The story of a totalitarian regime of heavy handed oppression is nothing new and sadly, Rideback doesn't exactly break the mould either. It could have! It really could have but there just wasn't enough time spent explaining the back story to give weight to the current events. The political intrigue was there and we got a small taste but in the end we are left with more questions than answers. The characters are well fleshed out and all serve their purpose admirably. 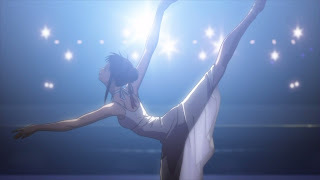 Rin is a worthy lead who manages to be a delicate prima ballerina AND a believable Rideback operator. Tenshiro Okakura (Goblin) is a well played and intriguing character who gets enough screen time to have his back story explained to a much more reasonable level. The action scenes are great and for the most part believable. Some of the camera angles used are extremely innovative and help to give a sense of urgency and danger to scenes where our delicate protagonist is thrown into harms way. 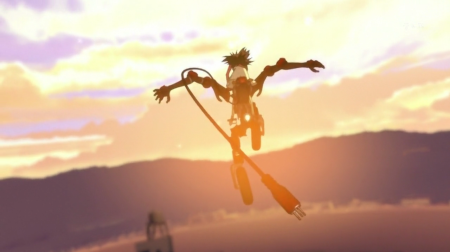 The Rideback's are predominantly animated using CGI with the rider being animated traditionally. We've seen previously that this can be done successfully or atrociously. Studio GONZO have always been the masters of this technique but I think Madhouse may have just won the title. Very, very rarely do you even realise that the vehicle and the operator are created by alternate means. The CGI/traditional hybrid style of animation is pulled off nearly flawlessly. Overall Rideback is an extremely well animated series filled with action and adventure set against a back story of political intrigue and unrest and Madman's Blu Ray release is of the absolute best quality. The picture is almost flawless as is the audio, although a little shy on special features. It does falter in delivering the goods in terms of what has come before but generally speaking, Rideback is a very enjoyable series. The cast of characters are memorable and varied, the animation is GLORIOUS, the sound is wonderful and the story compelling. Rideback is definitely worth the watch. I do have one question, however. What the hell is with Tenshiro's eyes? Rideback is available on BluRay and DVD from Madman now!